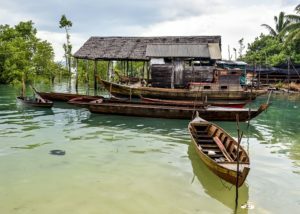 Venture 2 Impact first began partnering with Telunas, a geo-tourism resort located in the Riau region of Indonesia, in 2016. We were inspired by the owners’ desire to create a resort that was dedicated to employing locals and serving and caring for the communities on the surrounding islands and wanted to help them increase their impact. 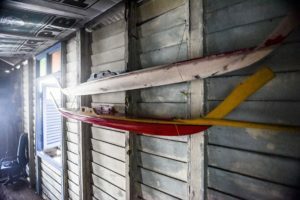 Before our first trip, the main way Telunas was doing this was by making improvements that the locals could not afford such as repairing schools and building retaining walls to prevent landslides. After our first trip in 2016, it was clear that the region is in a state of economic depression which affects much of the thinking and circumstances of the locals. Parents there hope, but do not expect, that their children’s futures will be better than the conditions they themselves are facing and largely view leaving the community as the best way to have a better life. 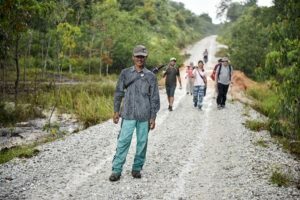 To better understand the communities’ needs and thinking patterns and how Telunas and V2I might be better able to help them, we wrote and conducted a survey on education, occupation and finances, and technology. Telunas staff believe they really benefited from the hard data of the survey because it gave them a better understanding of the challenges facing people who make a living in that part of Indonesia. One conclusion of the survey is that there are a lack of job prospects in the communities which makes it difficult, if not impossible, for there to be significant progress on the islands. In 2017, we returned to Indonesia with our survey results and a team of volunteers with various skill sets and areas of expertise for a hackathon-type event which we called Ideaforce. We came together to generate ideas to solve a problem that was identified by the survey data. Our hackathon led to an idea for secondary tourism which enables expanded economic opportunities driven by the locals. We believe this industry will naturally create incentive to improve education and will bring with it economic development. The other 2018 volunteer team will be supporting Telunas in their marketing and storytelling initiatives to highlight their geo-tourism efforts and their engagement with surrounding communities. 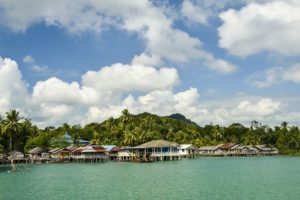 By helping Telunas tell a better story, we will help increase tourist traffic to the resort and the neighboring islands which will result in more job opportunities for locals and more money spent in the local communities.